Taking her career to another level, Gigi Hadid is featured in the pages of the CR Fashion Book’s latest issue. For Issue 8, the marvelous model works with photographer Sebastian Faena and stylist Carine Roitfeld for some simply stunning snapshots. Gigi’s wardrobe includes a strapless Versace dress, a black Saint Laurent by Hedi Slimane gown and several more designer ensembles as part of her blonde bombshell theme. 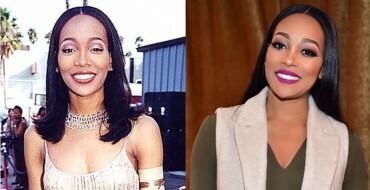 How Does Monica Look Younger At 35 Than She Did At 18?